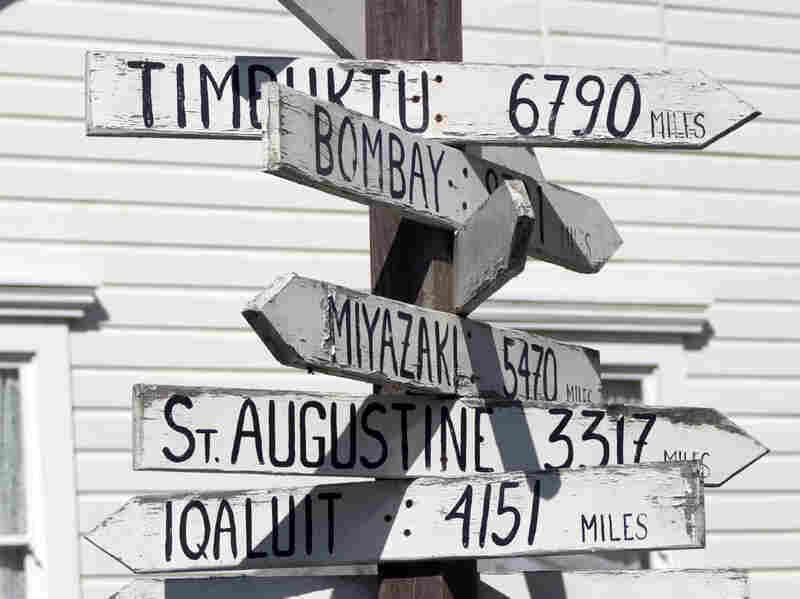 From Here To Timbuktu: Myth And Reality At The World's Edge When people refer to the ends of the earth, they invariably mention Timbuktu. The fabled West African city on the cusp of the Sahara has a mystique that has lasted for centuries. 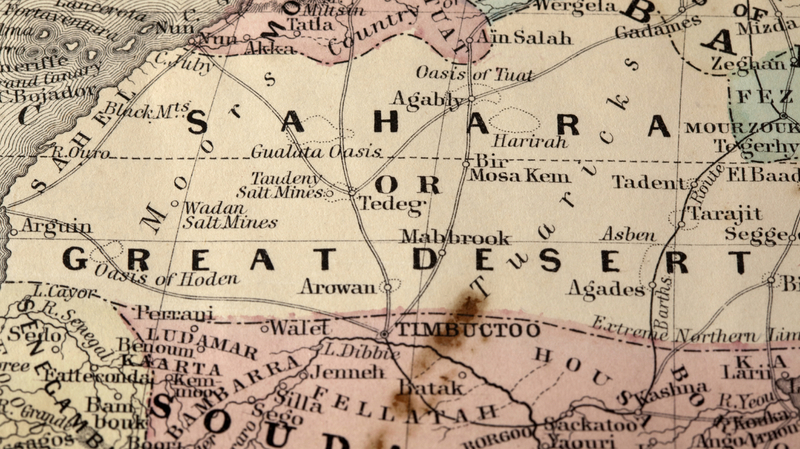 A vintage map of the Sahara desert with "Timbuctoo" located on the southern edge. Timbuktu conjures up images of long camel caravans out on the edge of the sand-strewn Sahara — a remoteness so legendary that the ancient city is still a byword for the end of the earth. The city might seem the stuff of fable, but the ongoing conflict in Mali has thrust it into the spotlight. French and Malian government forces captured Timbuktu this week from Islamic rebels who reportedly burned a library holding priceless manuscripts before fleeing. So how did Timbuktu come to symbolize the blank spaces of our imagination? For centuries, it was a trading crossroads between Europe and the Middle East, and later an outpost connecting the West African coast with the continent's largely unexplored (by Europeans, at least) interior. Even the spelling of the place has added to the mystique. It appeared as "Tenbuch" in the Catalan Atlas (1375) and has since been variously rendered as "Thambet," "Timbuctoo" and "Timbuktoo." In official documents produced by the government of France, Mali's former colonial master, it is often spelled "Tombouctou." It also pops up frequently in popular culture, on everything from messenger bags to restaurants to a largely panned 1970s TV adaptation of works by author Kurt Vonnegut Jr. It was even a stop on the Underground Railroad in New Jersey. Timbuktu's location on the cusp of the harsh Sahara is one reason for the enduring fascination, says Robert Launay, an anthropology professor at Northwestern University. The region is called the Sahel, which is Arabic for shore, because the Sahara itself was thought of as a sea. 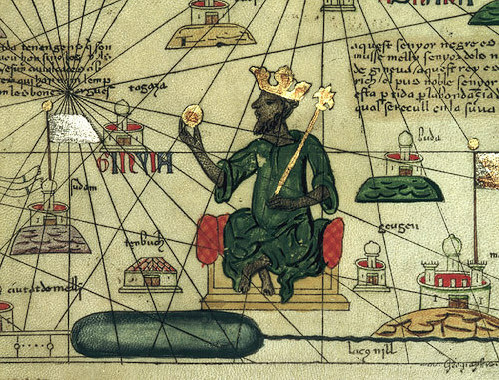 A rendering in the Catalan Atlas (1375) shows Mansa Musa, a 14th century king of Mali, holding a gold nugget and wearing a European-style crown. "Timbuktu is at the northward extension of the Sahel region and also the northernmost part of where the Niger River flows," he says. "It was the port of entry through the desert to North Africa. There was trade up the Niger River to Timbuktu and then a caravan trade across the desert." But the city was more than just a transshipment point — it was a major center of learning, which Launay says makes news of the destruction of the library at Timbuktu by retreating rebels even more devastating. "Monuments can be rebuilt, but the library, on the other hand, preserves a wealth of Islamic manuscripts that is really the greatest and most irreplaceable treasure," he says. Ancient Timbuktu also had two things that the rest of the world wanted: salt and gold. While rock salt was a valuable commodity for African traders, it was the gold that interested Europeans. And a 14th century Malian king named Mansa Musa gave Arabs and Europeans their first glimpse of just how much gold Timbuktu might have. Musa passed through Cairo in 1324 en route to Mecca, and his entourage spread around so much gold that its price in Egypt reportedly crashed for the next decade. Timbuktu became known as a sort of El Dorado of the Old World, says Shobana Shankar, a visiting professor of history at Georgetown University. That impression was fueled by Leo Africanus, a Spanish Moor who traveled widely in northwest Africa with his diplomat uncle and wrote a book based on his travels called Description of Africa. He arrived in Timbuktu circa 1510 at the city's apex. According to Shankar, Africanus described it as "a splendidly laid out city, a city where Muslims would feel comfortable not only trading but where ... immigrants might want to settle." Timbuktu was once considered so remote that the Paris-based Societe de Geographie offered 10,000 francs to the first non-Muslim to reach the city and report back. Launay says Timbuktu became a city of the imagination: "It was in a part of Africa that was remote and inaccessible to the extent that there really was a competition for who would get there first and live to tell the tale." The French explorer Rene Caillie won the prize, literally, in 1828. The Paris-based Societe de Geographie offered 10,000 francs to the first non-Muslim to reach Timbuktu and report back. Caillie managed to sneak into the city disguised as a Muslim trader. His rival for the prize, Scotsman Alexander Gordon Laing, reportedly reached Timbuktu two years earlier but was mysteriously murdered at some point during his return. But the city the Frenchman saw incognito was nothing like the one Africanus described, Shankar says. Caillie "was rather disappointed," she says. He found poor people living in the streets and otherwise "could not find evidence of the kind of splendor which Leo Africanus had written about." That report simply added to the mystery, Shankar notes. "People wondered what happened to Timbuktu, and that's a question that many 20th century and 21st century historians have given attention to." What most likely happened was competition. "Timbuktu stands out in European fascination, but there were lots of dynamic Islamic African cities in this time period," she says. 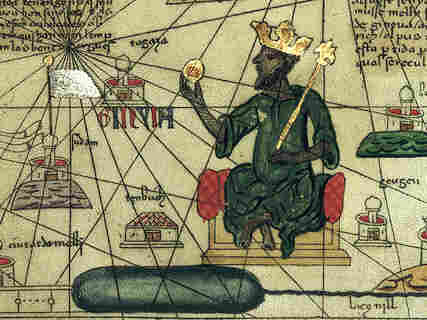 By the time gold and silver were discovered in the New World, Timbuktu's days as a center of trade were numbered, Launay says. "So, West African gold ceased to be strategic," he says. "Slavery diverted Africa trade toward the Atlantic Ocean as opposed to across the desert." Today, even the salt trade is disappearing. "These days," Launay says, "most West Africans don't depend on rock salt from the Sahara. They get cheap industrial salt the way we get cheap industrial salt."